What Does Spot Exchange Mean? Spot exchange just means buying and selling of bitcoins. It differentiates from futures/options and other derivatives. It is the "underlying" market where actual coins are being exchanged, not just paper representations of the value. It's identical terminology to what is used for, say, gold or oil. You have a physical, "real", market where the commodity is being exchanged, and you have futures or derivatives markets that are based on this organic market. In 2015 we are in a time where there are seemingly endless ways to buy and sell bitcoin. There are multiple reputable services that are well-funded and have years of experience. Please look below for the selection that most clearly meets your needs. If you want to buy and sell bitcoin unlevered, or if you want to use margin, or if you just want to do a simple over-the-counter (OTC) bitcoin trade for cash, you'll find what you're looking for. Simple interface and simple way to use your bitcoin to trade BTC/USD. It doesn't involve fiat but it is a great way to use your bitcoin to hedge if the price drops or just speculate up to 10x Leverage. Why sell into fiat when you can just short BTC/USD and earn more bitcoin? Sign up now and get a 100% deposit bonus, seriously! This site is particularly good for the simple interface and pure-bitcoin policy. No fiat means no headaches, and you can trade DEMO with no real money on the line to test out the whole idea if you're uncomfortable with trading. Perfect for noobs! Read more and see screenshots and a little walkthrough of the WhaleClubCo platform. Coinbase is one of the early market leaders in helping individuals acquire Bitcoin. 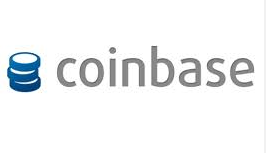 Whether you want to buy using SEPA, bank wire, or credit card, depending on your location Coinbase can provide you a secure and reliable means to acquire bitcoin. It has a growing exchange for more serious traders, but casual buyers and sellers of bitcoin will also find it useful. LocalBitcoins is the best place to go if you are just trying to quickly sell bitcoins for cash/bank transfer or buy bitcoins quickly from someone who lives near you. ​The downside is you may pay a premium because there is a time factor and convenience. So expect to pay a little bit above the "spot" price on the market. Make sure you only deal with trusted people. LocalBitcoins is a great place to conduct cash transctions. You can buy bitcoin quickly using a multitude of options. This is different than using an exchange to "trade" bitcoin for profit. It's true that it is much easier to sell bitcoin. You can sell bitcoin to dollars within 1 minute basically of signing up for an account, you just deposit and sell. No verification required at many places for this. However, when it comes to buying bitcoin, you have to be able to fund it with fiat somehow -- and most places will require verification in order to reduce the risk of chargeback/moneylaundering regulations. ﻿You can buy bitcoins within minutes. There are options above to assist you. But if you're run a rush use CoinMama or LocalBitcoins. This is a loaded question. You can easily sell Bitcoin to people and accept PayPal if you want, but merchants are notoriously at high risk for chargebacks using PayPal. And of course, Bitcoin transactions are irreversible. So if you sell bitcoins to someone who then charges back the fiat they sent you, then you're out of your coins and the fiat. 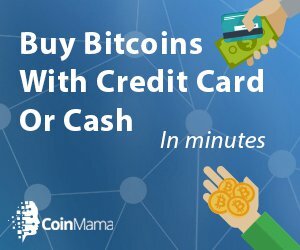 If you want to buy bitcoins using PayPal, there is still a way. Go to Freenode to channel #bitcoin-otc and you will be able to go through a process to buy, but it requires a 20% premium to compensate the merchant for the risk of chargeback. There is also a guy who has an elaborate method that involves SecondLife markets and paying spreads on multiple markets. Use this at your own risk, I've never tried it, but if you're desperate then this may be worth trying. I am not permitted to link to the site, but Google it and you will find it. It involves Virwox.